kind of integration are you thinking of? > I am Nikhil Bafna, a fourth year Computer Science undergrad. 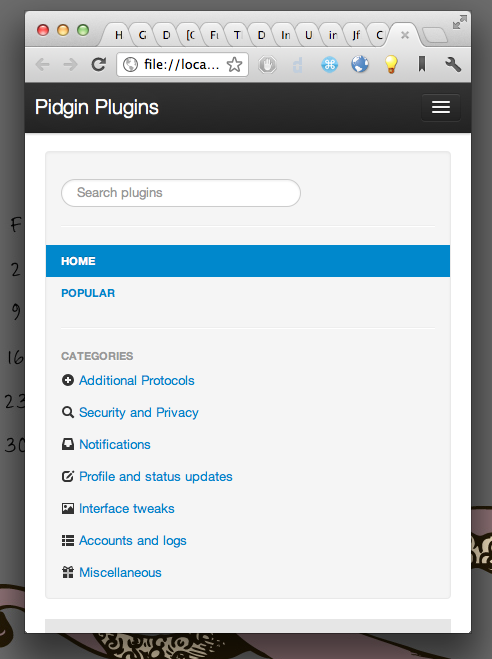 > I am interested in the idea to develop a website for pidgin plugins. > 4. Much improved search. > 6. Separate user and developer accounts. > 8. 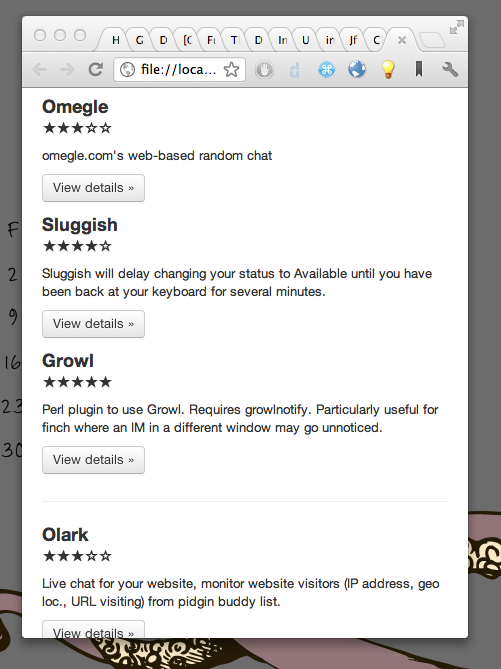 Newly uploaded plugins go through a community based moderation process. > 9. Responsive design that scales down to mobile phones. > 10. 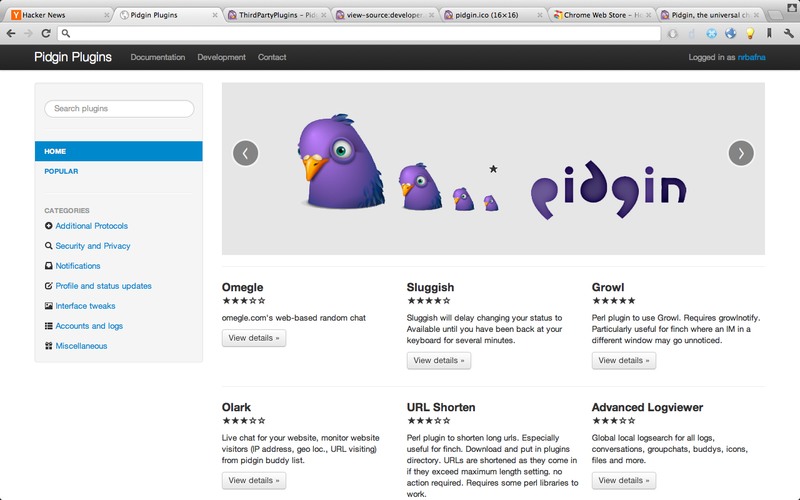 Integration with the pidgin client. which I propose to do in python + django.